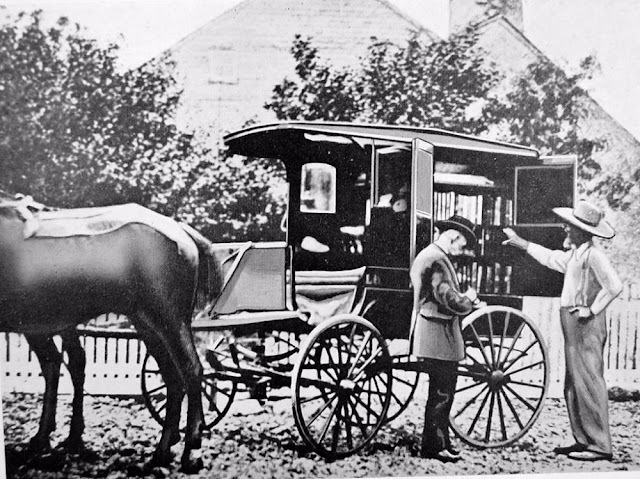 A horse-drawn cart in Washington in the 1900s. 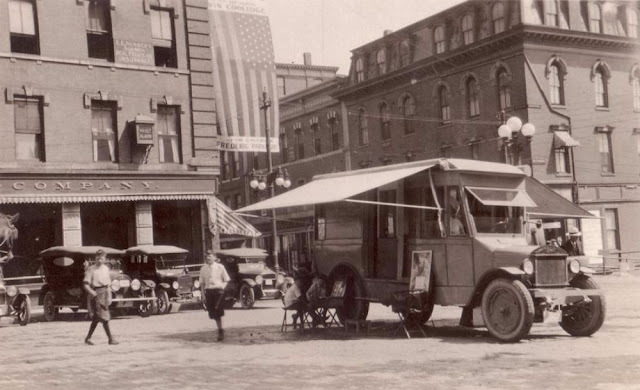 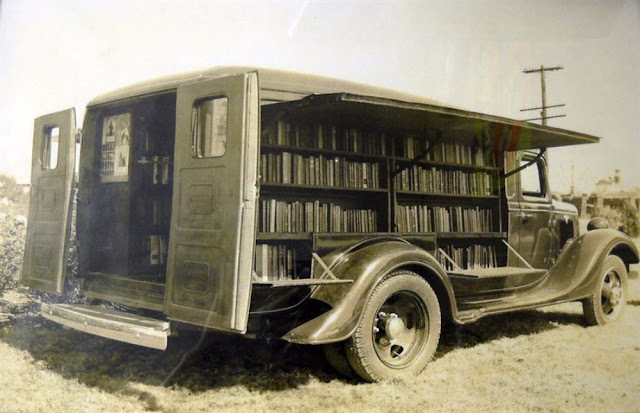 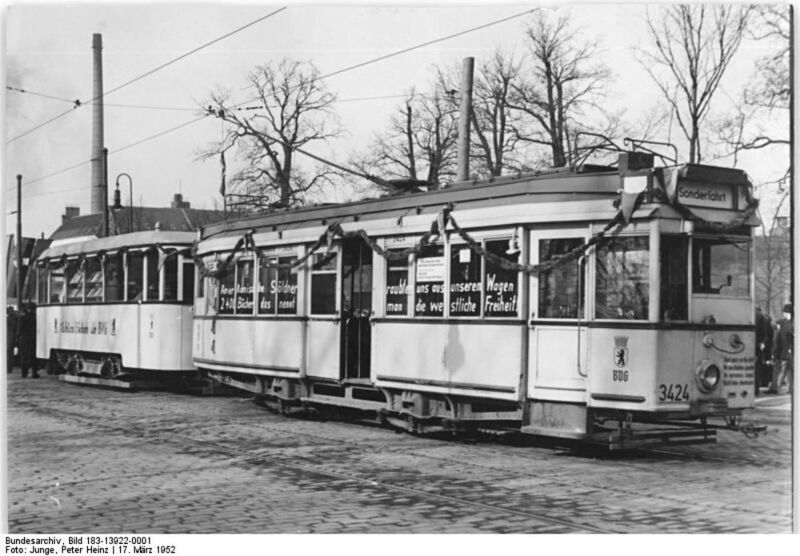 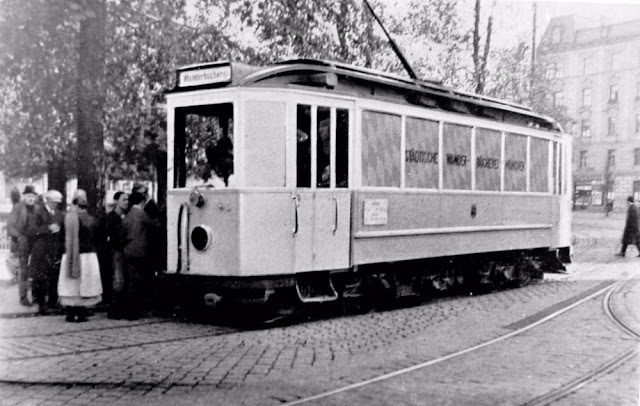 It was one of the first American bookmobiles, built in 1905, but was hit and destroyed by a train in 1910. 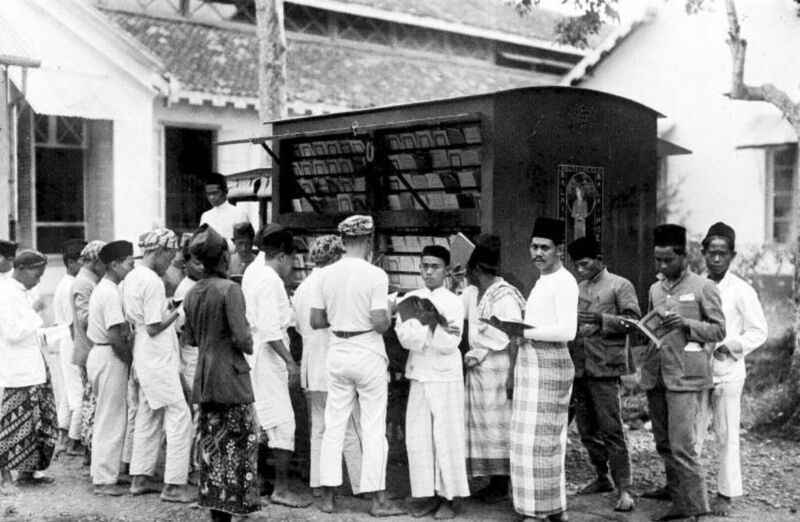 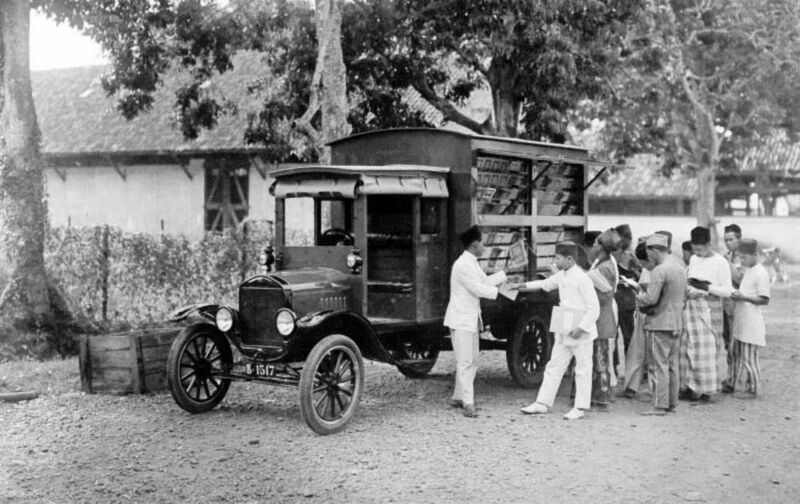 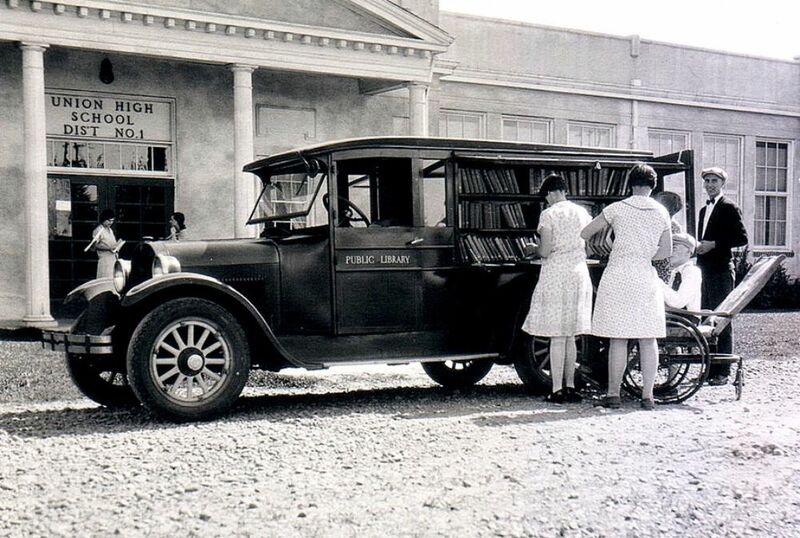 A bookmobile in Indonesia, early 20th century. 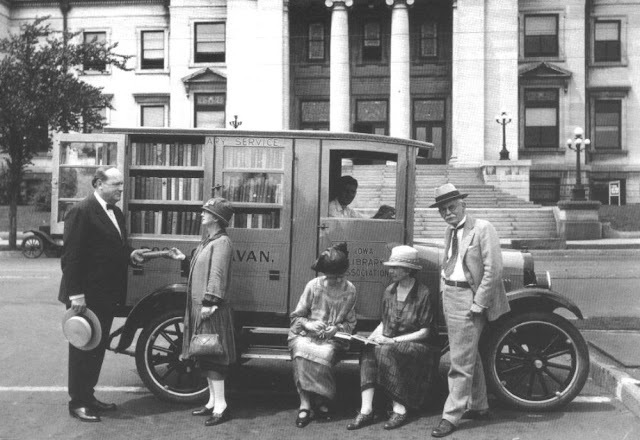 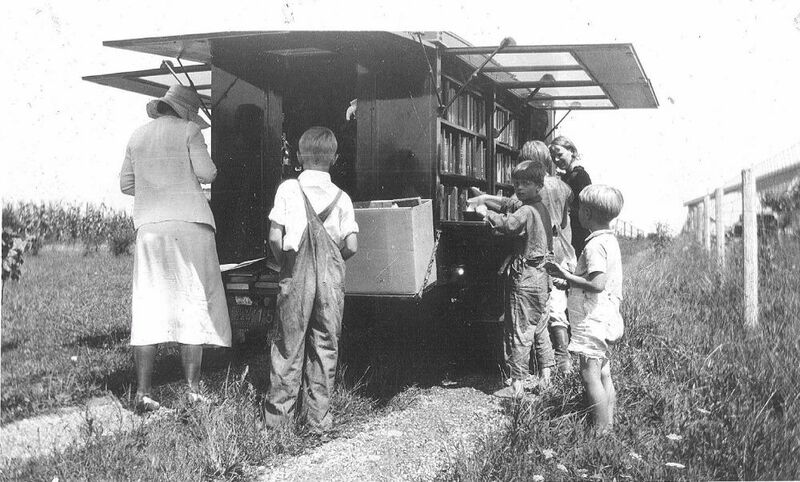 The Book Caravan, one of the first traveling bookshops, 1920. 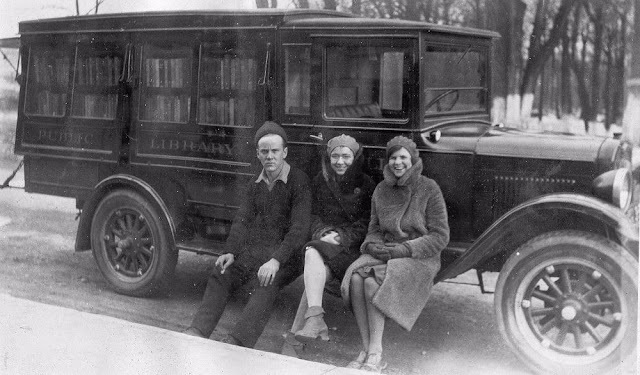 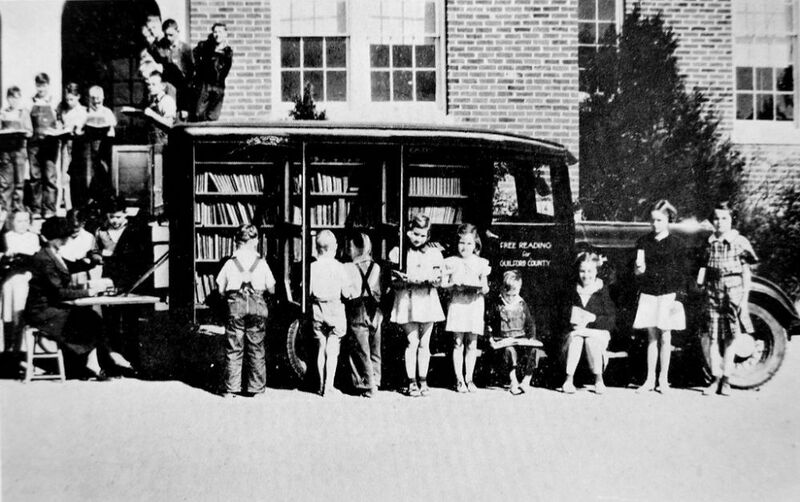 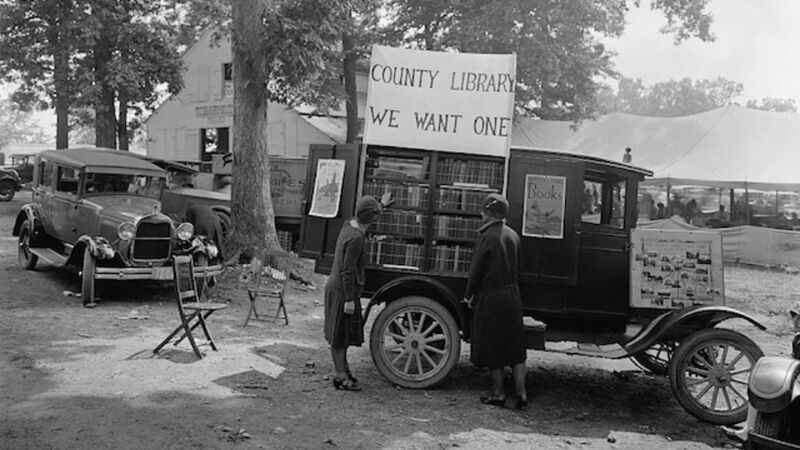 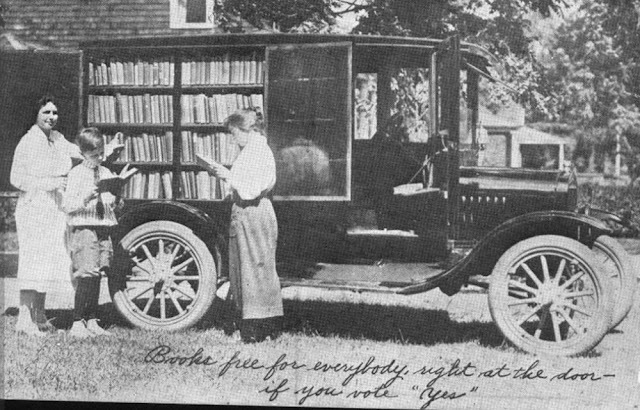 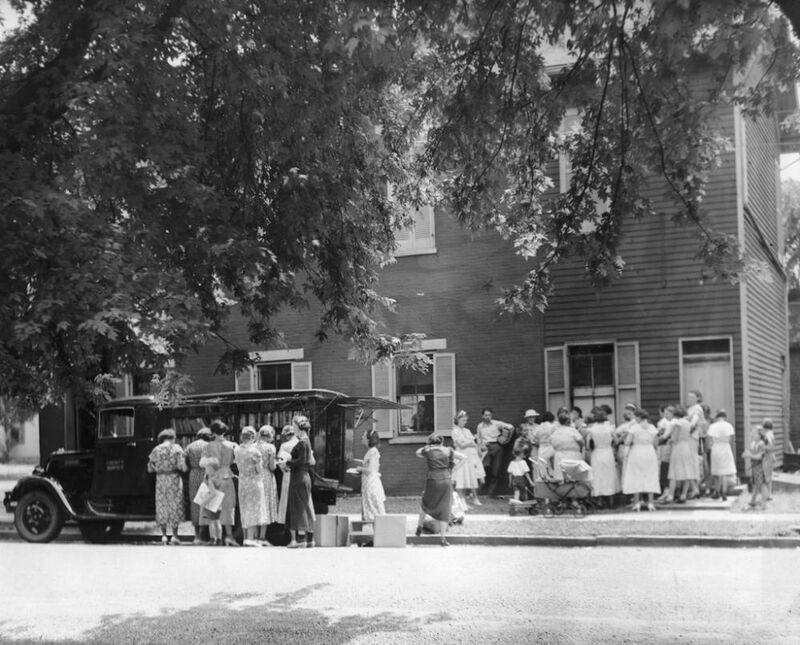 Books free for everybody, right at the door – if you vote "yes"
The first bookmobile of the Public Library of Cincinnati, c. 1927. 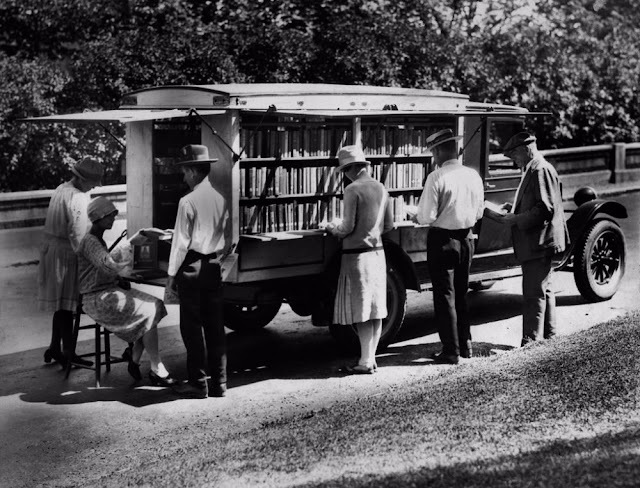 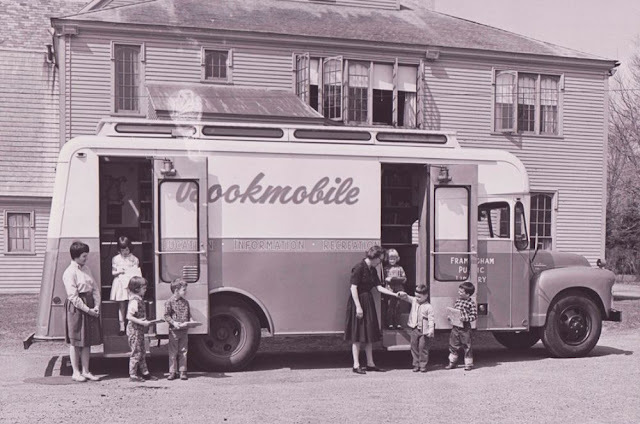 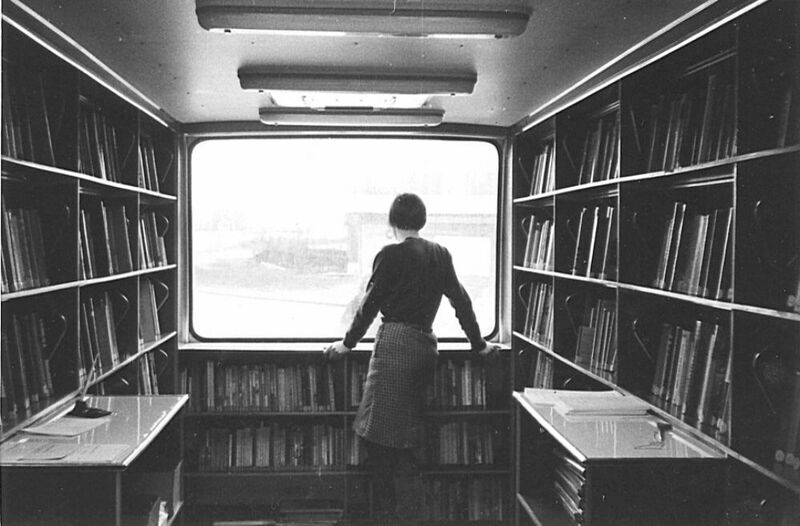 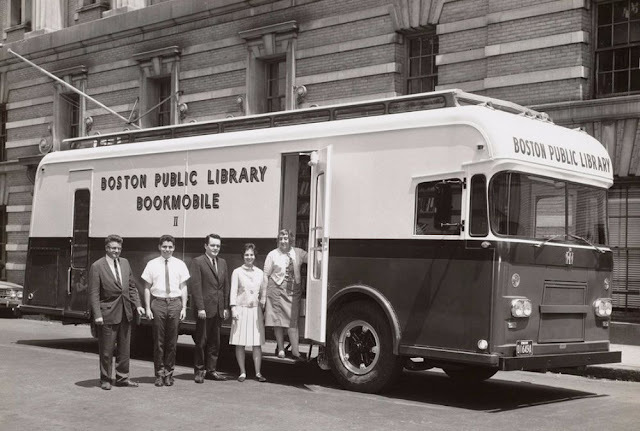 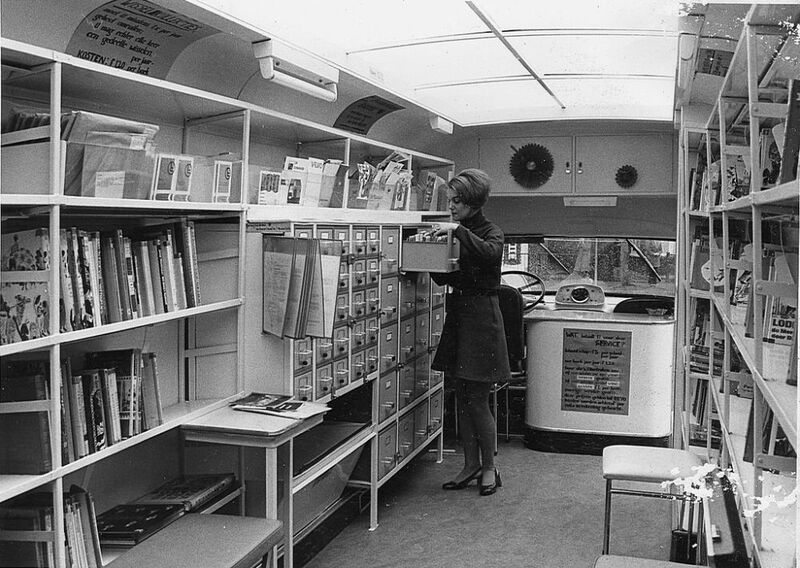 Onboard the Connecticut State Library’s Bookmobile with Margaret Sullivan and Marcella Finan, 1967. 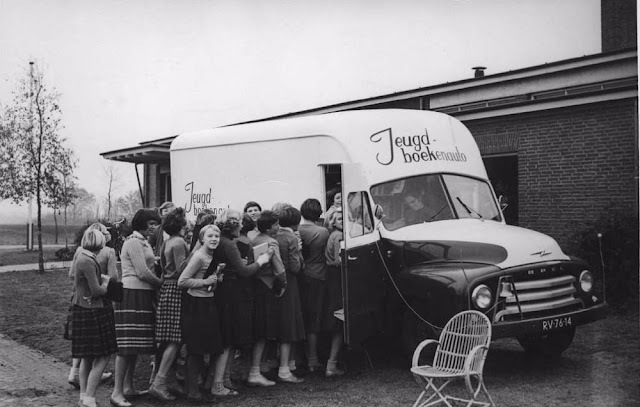 Bookmobile at Anne Arundel County Fair, 1973. 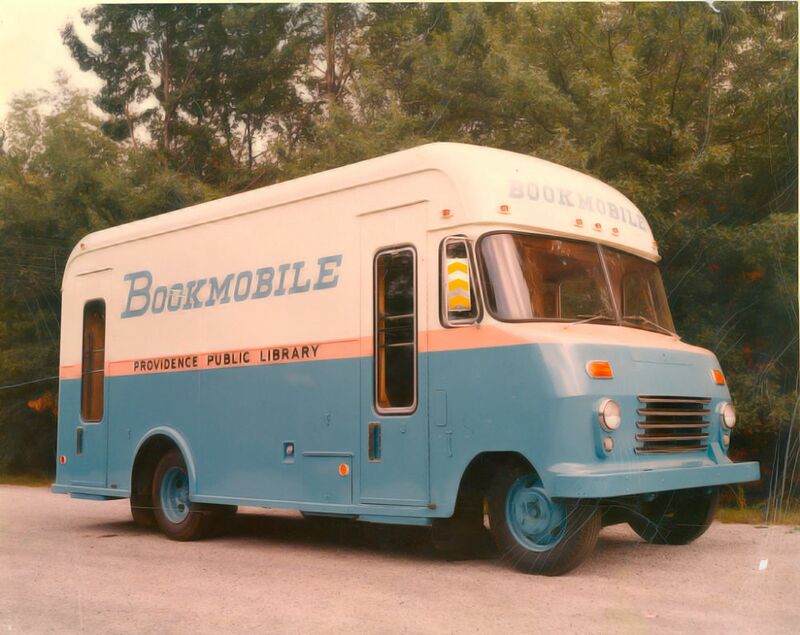 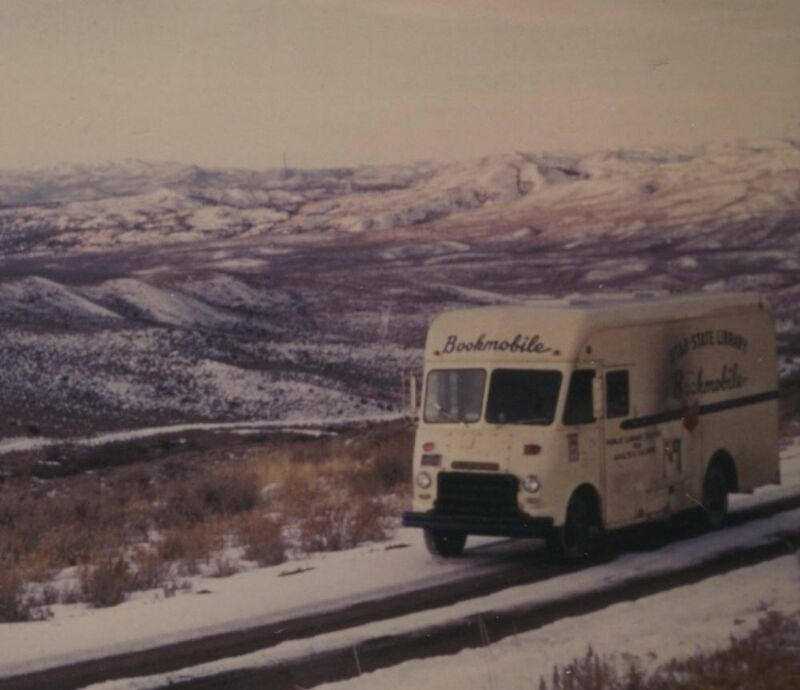 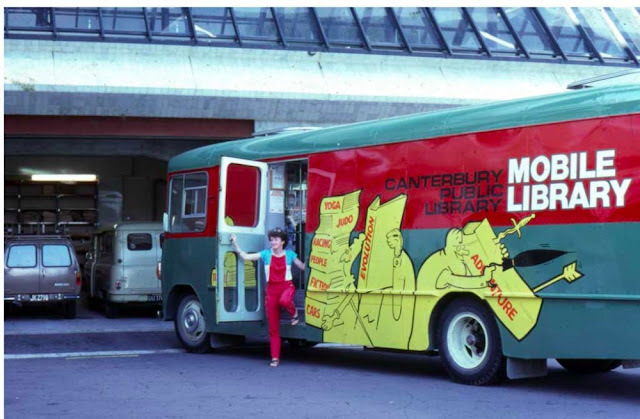 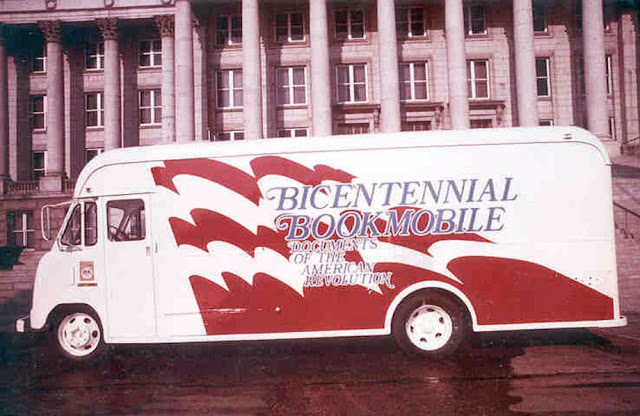 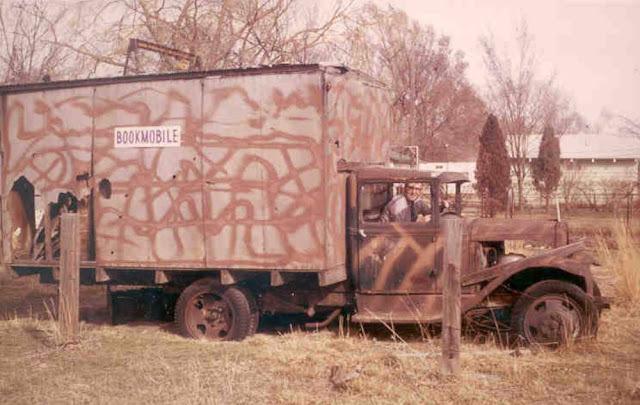 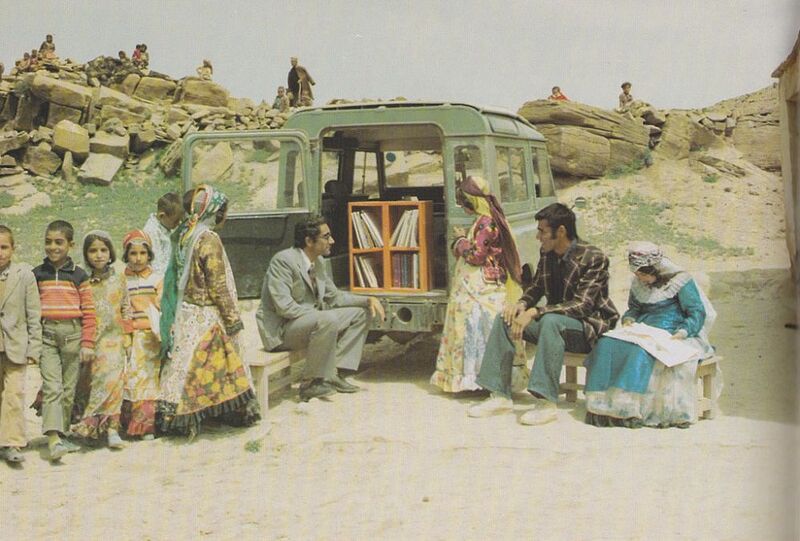 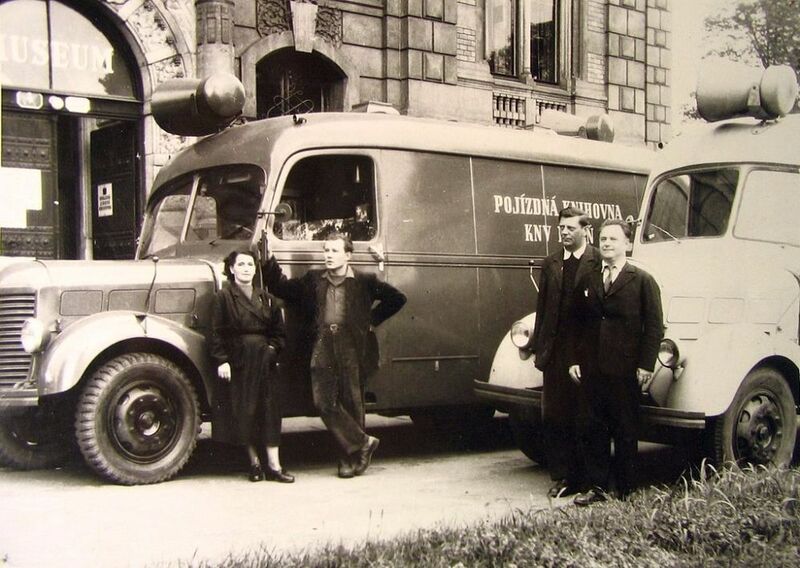 Paul Buttars, former manager of the Utah State Library Bookmobile Program, in one of the “older” bookmobiles. 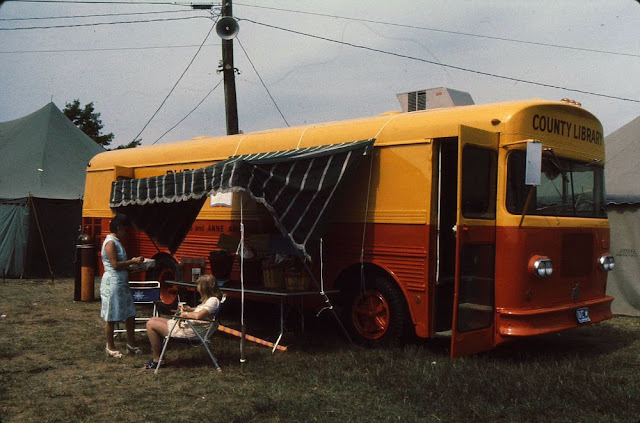 Taken in Chesterfield, UT, c.1975.